It’s easy to make the mistake of putting on an old pair of sneakers and wool socks when hitting the water. What you need to know, however, is that kayaking comes with its special needs. You can easily end up ruining what would be an awesome day out by wearing the wrong kind of kicks. So, if you’re wondering what shoes to wear kayaking, we’d like to make the task easier for you by providing you with some reviews. Typically, the best kind to go for is one that’s designed for life in the water and on the road. 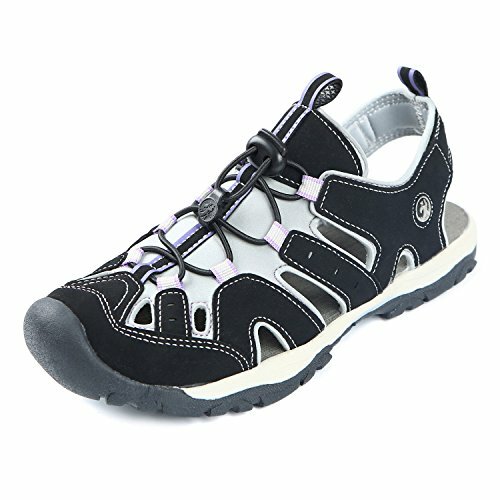 Besides that, you want to go for kayaking boots waterproof varieties. You can even specifically insist on getting the best water shoes for keeping sand out. But, generally, the most important point to keep in mind is that the shoes you settle for should be designed to drain quickly. Most importantly, they should always be gentle on your feet and capable of keeping you comfortable for long hours. With all those facts taken into account, we’d like to present you with the different kinds of shoes you can settle for. With slight differences between the design of male and female shoes, we have included different options for both genders. How Heavy Should The Shoes Be? A sturdy pair of shoes is a must-have if you’re looking to enjoy your favorite water sport. In that regard, here’s a closer look at some awesome kayaking shoes for male anglers. 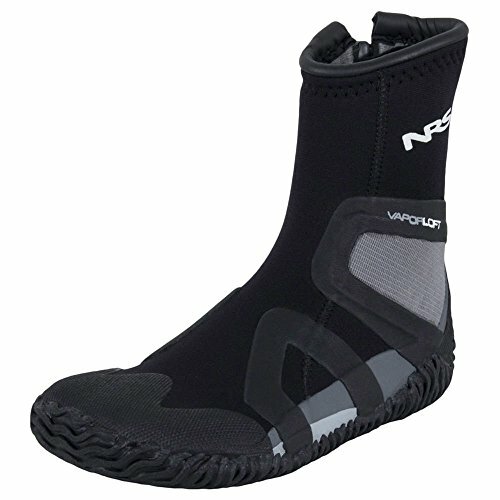 These Kayaking shoes are manufactured by NRS and are one of the best all-around kayaking shoes. The upper part is made of Terrapene neoprene and it makes use of Titanium Laminate so that your feet remain warm and dry. The Vaporloft lining is moisture repellant and also dries up quite fast and in the process keeps your feet dry and comfortable. The Insole is made of propylene and is 5mm thick. This will help in providing you with stability as you paddle. The outsole is made of rubber and will protect your foot from the heel to the toe such that you will not get hurt or slip as you walk on slippery rocks. The gusset-backed YKK zipper will enhance the tightness with which the shoes wrap around your feet. 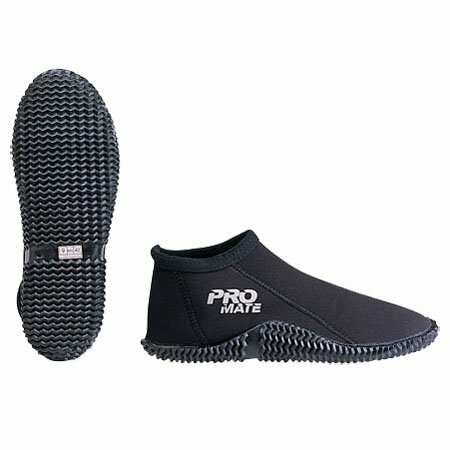 To start with, these water-shoes have a water drain outsole which will provide amazing traction in slippery surroundings. The Solyte mid-sole are extremely lightweight and will make your movement to be quite easy. The mid-soles have a great-bounce back design and are highly durable. The upper air-mesh is durable too as well as breathable and allows enough air to circulate in the feet. It also aids in drying your feet faster after a paddling adventure. The Comfordry sockliner will cushion your feet from rough external surfaces such as riverbeds and you can be sure of a dry and comfortable shoe environment. The overall design of the shoe is meant to give you control and traction as you continue with your paddling adventure. If you want Kayaking shoes which are as versatile as they can be, then the SoftScience Fin Shoes are just what you need. Initially, they were designed to be used in the Tennis court before someone figured out that they can be used in the waters too. Apart, from Kayaking, you can use them as holiday shoes too. Although they are of a simple design, they are made of PU (Synthetic) material which makes them tough and durable. The upper mesh will keep your feet dry and breathable for comfort as well as stability while on water. The shoes have a self-draining system and so you will not have to wait for a long time before they completely dry. These shoes have a stunning look and are very comfortable to wear. This classy look will be enough to make you instantly stand out from the crowd. You will also be impressed at the way they constructed. The stitching at the front and the leather and mesh construction are enough to assure you of the quality and durability of these shoes. So you will no longer have to worry about monthly replacements of the shoes. They have mesh panels to make them breathable and allow for the sufficient circulation of air in the feet. The upper section is weathered with leather and this together with the slotted collar with eyelets and the padded linings will ensure that you will have maximum comfort with the shoes on. They are easy to put on and take off and will cushion your feet from rough terrain. To wrap it all up, they are very affordable. Do not judge the efficiency of these shoes based on their simple look since they are strong and comfortable to wear. 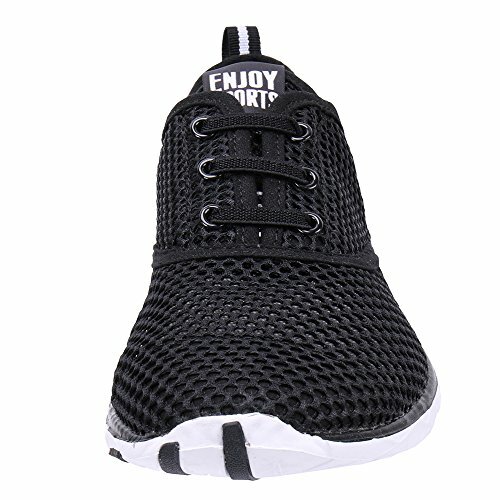 The free-floating tongue will ensure your comfort while the bungee lacing system will ensure that your feet are secured in place and this also adds to the comfort. It is made of Neoprene material which dries up quite fast. Combining it with the mesh upper makes them breathable and comfortable. The shoes also have enough space to avoid placing your feet in a fixed position for long periods of time. The rubber sole has a good grip and provides traction to enable you to walk smoothly on slippery surfaces, while the insole cushions the feet from the external impact of rough surfaces and enhance your comfort as well. Lastly, they are easy to take off and put back on. Who said kayaking and hiking have to be a boys’ club? For the beautiful ladies reading this, the following shoes are worth taking a closer look at. 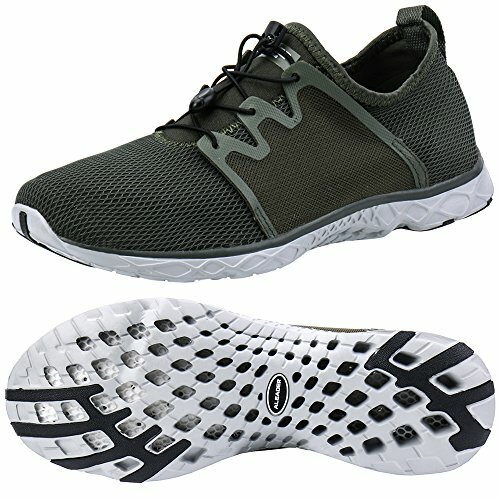 These shoes have an air mesh upper which is durable and makes them breathable as they allow air circulation in the feet. The Solyte midsole is extremely lightweight and durable, not to mention that it has an amazing bounce-back effect while the outsole has an excellent drainage since it utilizes the modern fluid-flow technology. The outsole has rubber pods which provide additional traction in wet and slippery conditions. The ComforDry sockliner cushions the feet from rough terrain and will result in more comfortable and cooler feet. 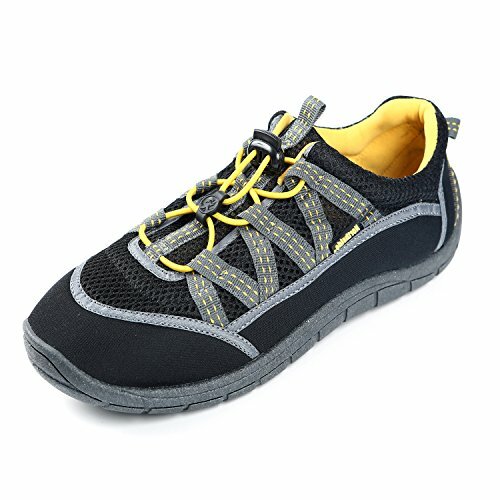 These women’s wet-shoes are not only comfortable and easy-fits but are quite convenient to put on. This is made possible by the side-zipper entry which means you will need minimum effort to put them on or take off. The high-top and low profile design makes these shoes to provide you with maximum warmth and protection without becoming bulky. The Terraprene neoprene backed by heat-reflecting titanium will help in regulating the temperature flow inside the shoes to enhance your comfort with them on. The soft VaporLoft interior lining is water repellant and dries fast to keep your feet warm and comfortable as well. The thick high–traction sole coupled with the equally thick insole will cushion your feet from rough terrain and the sole will also tightly snug around your heel and toe for extra protection. 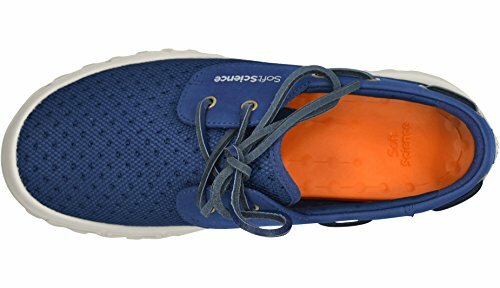 These shoes are designed to be used in a variety of water sports activities. They have a stunning look and you can comfortably use them in other activities away from the water such as yoga, dancing, and exercise. It has a textured rubber sole to provide traction against slippery surfaces while the thick rubber soles are durable and protect your feet from external impact. They are easy to slip on and off too. They are comfortable and pretty lightweight to let you move faster and easier. These shoes are not only comfortable but have a stylish look as well. The upper section is made of microfiber material which has a self-draining system, which means that they dry up really fast. They are lightweight and breathable to ensure that there is sufficient circulation of air in the feet. They have enough room for you to maneuver and relax your toes. The insole is made of Trileon and will keep your feet comfortable even after long periods of standing. They are also removable and washable for hygienic purposes. The non-marking outsole is has a good grip and will help you maintain stability even on slippery surfaces. To start with, the synthetic sole is highly waterproof and this coupled with the quick-drying exterior material will ensure that your feet are always dry and comfy. It features a rugged neoprene upper which is reinforced with mesh that makes the shoes to be breathable. It has toe and arch overlays for extra protection. It also has a lightweight EVA insole which provides extra cushioning for your feet while the toe bumper means that you can also use these shoes for riding your bike without risking injuries. Want to work up a sweat while still out on the water? Here’s a quick break down of shoes designed for both male and female kayakers. If you want shoes for Kayaking in cold and mucky conditions, then look no further. They are about 15” high and so will cover up to your knees. They are waterproof and the high traction rubber sole will provide protection and support for your feet. Sticking with protection, the NRS Boundary boots have a plastic shim for the purpose of providing protection against sharp objects. The insole is made of neoprene and is about 7mm thick to assure you of maximum comfort. The buckle strap will ensure that the boots are firmly wrapped around your legs. 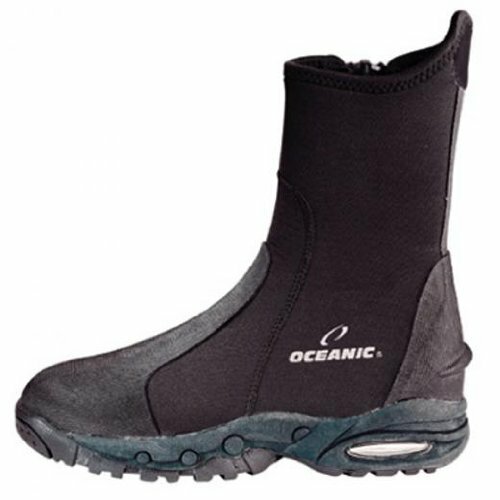 With these boots, you can be assured of maximum comfort since it is made out of Neoprene material which is not only super-comfy but also waterproof to keep your feet warm and dry. The Seams are stitched and glued and this coupled with a water entry barrier will enhance the waterproof feature of the boots. The insert sole is hard and will offer punctured-resistant protection against rough terrains while the durable traction sole will provide stability on slippery surfaces. They are easy to slide on and off due to the durable YKK side zippers and the adjustable hook-and-loop arch strap. 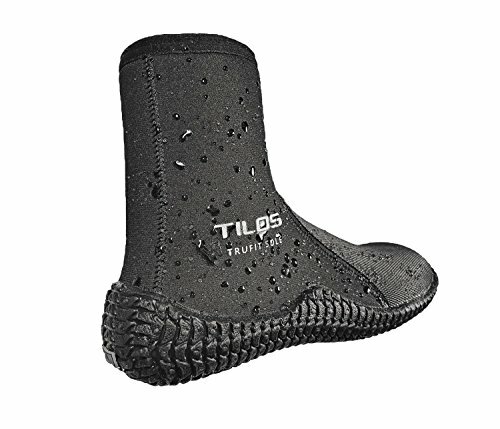 The Tilos TruFit dive boots come in a variety of sizes; 3mm short, 3mm Titanium, 5mm Titanium, 5mm Thermowall, and 7mm Titanium. They have a low volume over the instep which helps in reducing excess water in the boots and in the process makes them warmer and also easy to slide on and off. The sole has a built-in arch support and a heel cup. The arch helps in keeping the foot in a natural posture which will enhance your comfort while walking. The heel cup enables natural padding in your heel and will absorb shock while walking. The toe box is a perfect fit and there is no unnecessary space around the toes. The rocker sole has a unique shape which lets you move your feet in a more natural way and in the process improves the balance as well as reduces fatigue. These shoes will just impress you starting from the sole which is highly gripped to give it a unique appearance as well as high traction. It has a Neoprene sock which is 3mm thick and ensures that the shoes are completely waterproof. The wetsuit material will help in keeping your feet warm even in cold water. They have a low cut design while the edge of the shoes rises higher to keep them firmly in place around your feet. The seams are glued to prevent water from flowing in and can be used for extreme water sports. Lastly, they are flexible and easy to slide in and out. 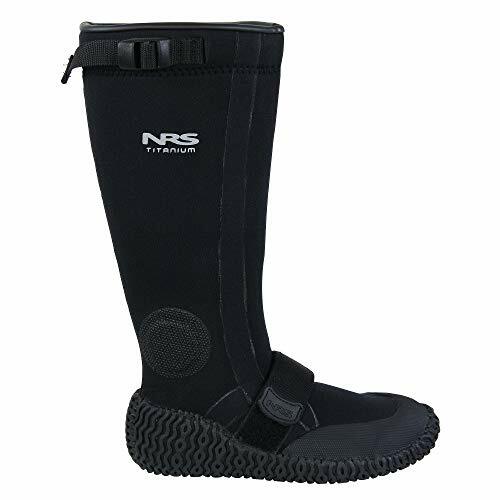 These water boots have a heavy-duty molded sole which can survive even the sharpest rocks while providing stability on unstable grounds such as sandy beaches and boat decks. The boots have arch support to keep the feet in a natural position and in the process reduces stress by allowing the feet to have enough room for maneuvering. 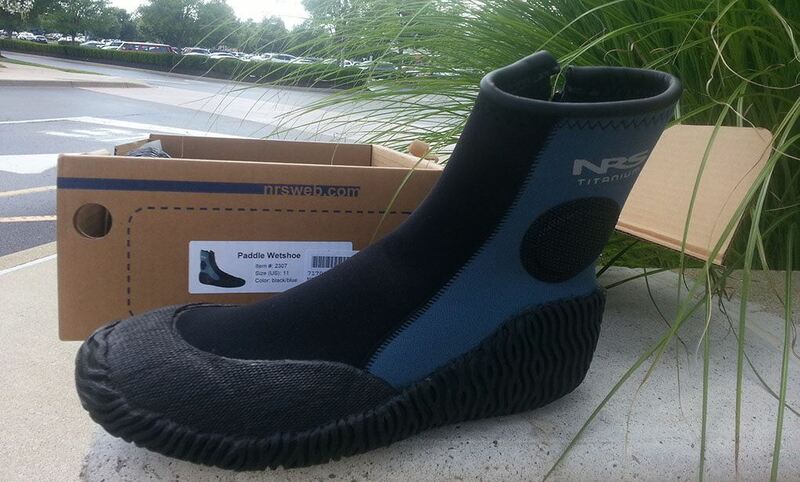 The Neoprene is 6.5mm thick and is double-glued to prevent water from flowing into the boots. This construction also enhances the durability of these boots and you can be sure that it will be a while before you start thinking about replacing them. It has a zipper to ensure that they hold on tightly around your feet as well as making them easy to slide on and off. There’s no doubt that kayaking is one of the most enriching and versatile sports out there. In fact, it doesn’t matter whether you’re just a recreational kayaker or someone who enjoys kayak fishing. Since when they came to the limelight, yaks have risen to become essential accessories. That’s particularly because they’re designed to be waterproof and to keep you comfortable. And that’s precisely why finding the right pair of shoes for ‘yakking is such a good idea. Here are some key factors to ponder upon. You want to make sure that the shoes you go for are extremely well-fitting. In fact, they should fit you almost like a glove – snug but not constricting. So, to make sure you’re buying the right size online, you want to make sure that you already know your correct size. Please note that it’s always a good idea to go for shoes that come with straps. That’s because you can always adjust the straps to attain a custom fit. Neoprene is, by far, the most popular material for kayaking shoes. And it’s easy to see why! Neoprene is grippy, lightweight, and flexible. That said, we’ve found that some high-end shoe manufacturers tend to combine neoprene with titanium. The idea here is basically to improve durability and performance. As for the soles, you basically want to settle for something made from sturdy rubber. This kind of material would go a long way in protecting your foot from getting injured by rocks. Most importantly, it provides you with a powerful grip for extra stability even on choppy waters. Well, basically, the best yakking shoes are once that fit and feel almost like a second skin. It, therefore, goes without saying that such shoes should be light in weight. Heavy shoes would be extremely difficult to wear for long hours. Ultimately, comfort should always be the most important factor to consider at all time. 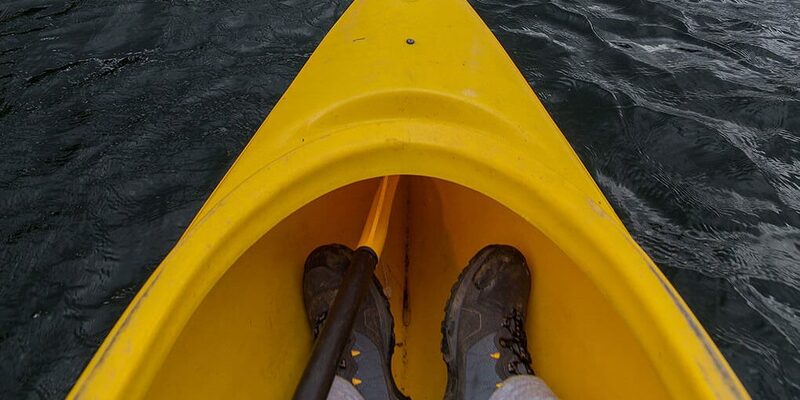 There are three common types of shoe height for kayaking boots. These are low-cut, knee height, and ankle height. Low cut kayaking shoes are ideal for summer because they tend to be highly breathable and light in weight. Ankle height bots are ideal for all-weather conditions. That’s because they are relatively warm and still breathable. Lastly, there’s the knee-high category of shoes. This works best for ice fishing especially since they tend to provide you with an awesome level of insulation. That said, knee-high kayak boots can get uncomfortable in case they get wet. Women typically have narrower feet than men (in proportion to the length). Also, women have a foot which tapes almost immediately toward the heel. For this reason, it’s important to settle for gender-specific boots. However, if you’re looking for functional shoes that can meet your dynamic needs, we’d recommend the unisex boots. 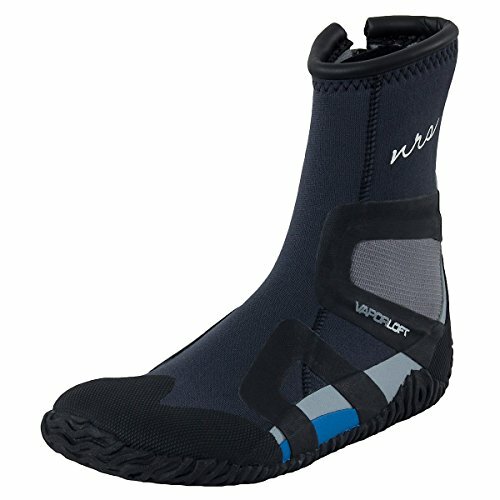 If you’re looking for the top kayaking shoes for men, we’d recommend the Aleader Men’s Adventure Quick-Drying Water shoes. It’s light, snug-fitting, and generally comfortable to wear for long hours. 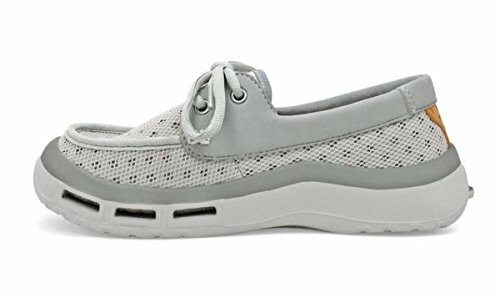 Looking for the best water shoes for ladies? 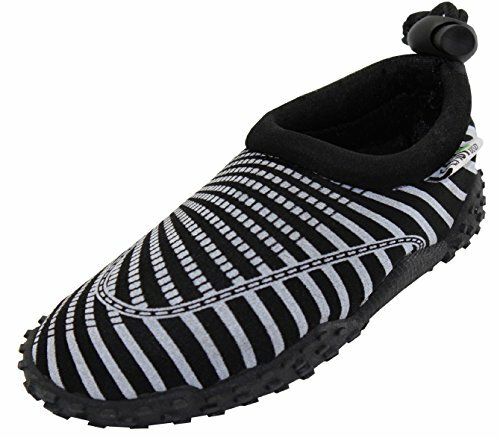 Our editors would recommend the Aleader Women’s Slip-on Mesh Water-shoes. These offer a perfect mix between breathability, traction, and quick-drying design. As for the best unisex shoes, our top choice would have to be the NRS Boundary Titanium Dry Boots which are pretty rugged and comfortable to wear. Your kayaking adventures are bound to get even more fun. But for that to happen, it’s important to make sure you invest in the best kicks available. That way, you can focus more on enjoying the ride and less on keeping the water splashes off your feet.